One of the things that brings me the most satisfaction is coming up with a recipe using ingredients I already have on hand. I try my best to plan meals but the last few weeks have been full of client meetings and deadlines – and, with Justin home from college, meal planning is a bit more challenging. This meal was inspired by the first measurable harvest of kale from the garden. Isn’t it beautiful? 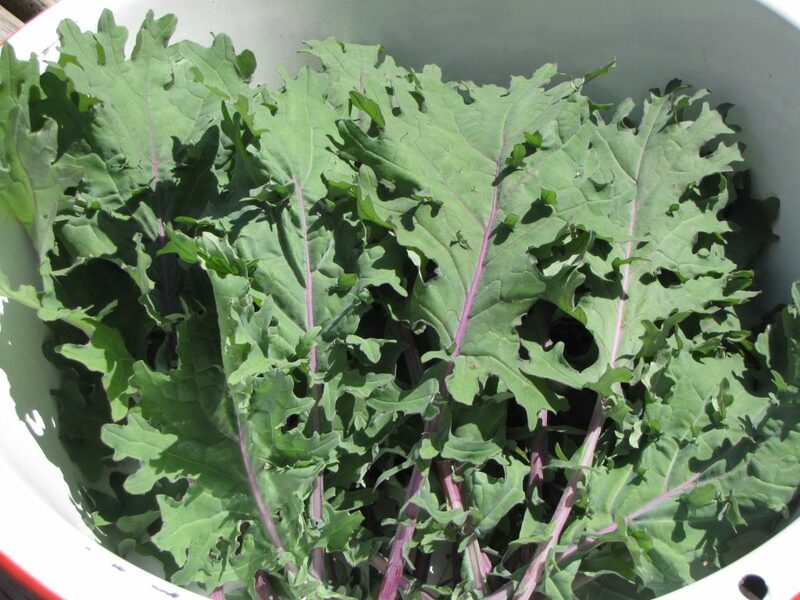 This year we’re growing red russian and lacinato kale in the garden. This is red russian. I did a quick survey of the fridge and pantry and found heavy cream, half a box of penne pasta and some grated parm. I always have chicken broth, garlic and white wine in the house. I also had a Jones Dairy Farm sausage roll. Aha moment! 30 minutes later we had a yummy, mostly one-pot meal for dinner. First I put a pot of water on to boil for the penne. In the meantime I cut the stalks off the kale, rinsed it and roughly chopped it. Kale – trimmed, chopped and cooked in olive oil with two cloves of garlic until wilted. In a large skillet over medium high heat, add some olive oil along with two cloves of garlic and cook the kale until it’s wilted. Remove from the pan. In the same pan add the sausage and brown it. Don’t break it up too much. You’ll want nice pieces of sausage. Remove from the pan. Sausage and kale – cooked and set aside. In the meantime check to see if you’re water is boiling. Oh, and make sure you add salt to it. Then add the penne. Cook until al dente. Drain and set aside. In the pan add 1/4 cup of white wine and 3/4 cup of chicken broth scraping up the brown bits from the bottom of the skillet. Then reduce the heat and add one cup of heavy cream. By the way, I buy heavy cream by the quart this time of year because strawberries are in season and the family loves fresh berries with whipped cream. Whisk or stir heavy cream into the wine/chicken broth mix and simmer until it starts to thicken -3 to 5 minutes. 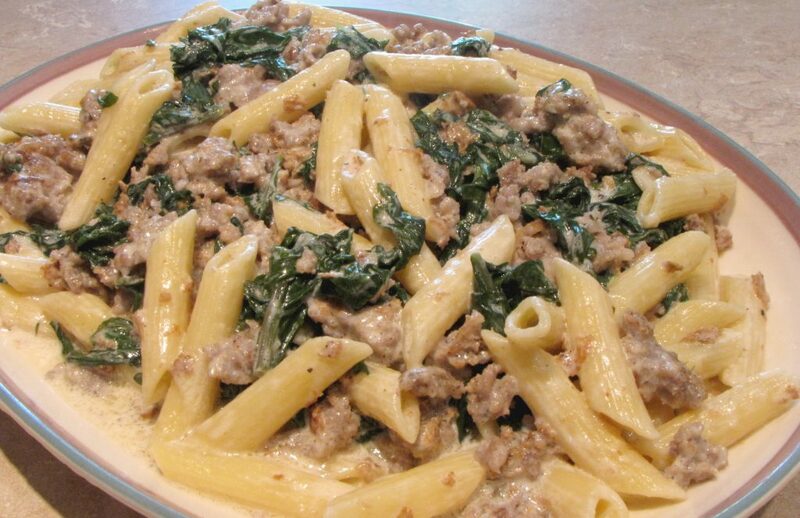 Add sausage, kale, penne and a handful (or two!) of grated parm. Stir. After a minute or two adjust seasoning. I like to add lots of freshly ground black pepper. That’s it. You’re done. Sausage and Kale Penne Alfredo – need I say more? I’m a big fan of Jones Dairy Farm products and have been enjoying their sausage, in particular, since I was a kid. This year they’re celebrating their 125th anniversary and have compiled an online cookbook featuring 125 recipes – one recipe for every year the family-owned and operated company has been in business. The “Celebrating Great Taste” cookbook, features recipes all made with Jones Dairy Farm products – many of which are gluten-free. Go check it out because you know you want to try one of their bacon recipes. Bacon makes everything better, right? I’ve got my eye on the Gruyere Bacon Mac and Cheese. DISCLOSURE: Jones Dairy Farm provides me with product from time to time and compensates me for developing recipes using their product. That being said, our family has been eating Jones Dairy Farm products for years and I would never endorse a product I wouldn’t purchase. Quick and easy, mostly one-pot meal that's ready in about 30 minutes. In a large pot of salted water, boil the penne pasta until al dente. Wash the kale. Trim the stalks and roughly chop. In a large skillet saute over medium high heat, add enough oil to coat the bottom of the skillet and add the garlic and kale. 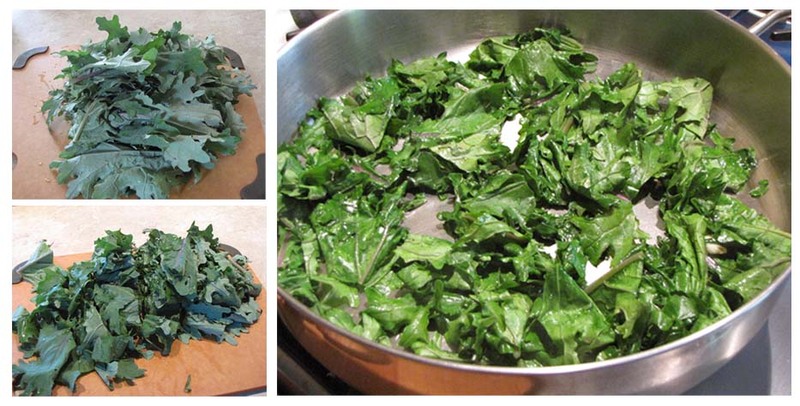 Cook until the kale is wilted. Remove from skillet and set aside. In the same skillet, add the sausage. Cook until brown, breaking it up into bite-sized pieces. Remove and set aside. Add the wine and chicken broth to the skillet, scraping the bottom to remove the nicely browned bits. Reduce heat. 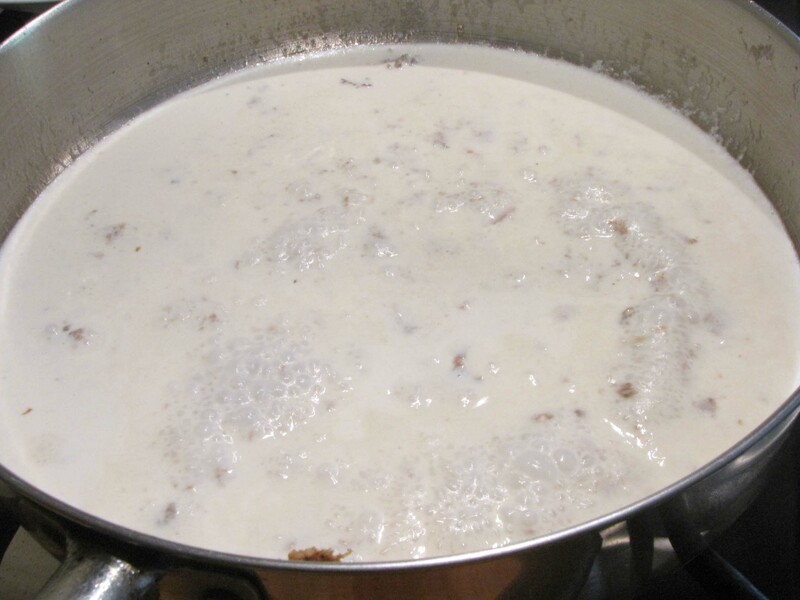 Add the heavy cream and cook until it begins to thicken - about 3 to 5 minutes. Add the sausage, kale and penne along with the grated parm. Stir. Adjust salt and pepper. I like to add lots of black pepper. Great recipe! 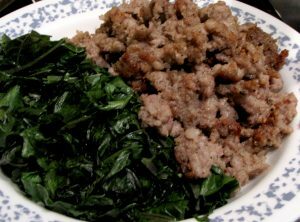 I love combining kale and sausage–they pair so well! doesn’t thicken well at all, but tastes great.